“We recognize that people are expressing a need to come together, peacefully, when we are a House Divided. 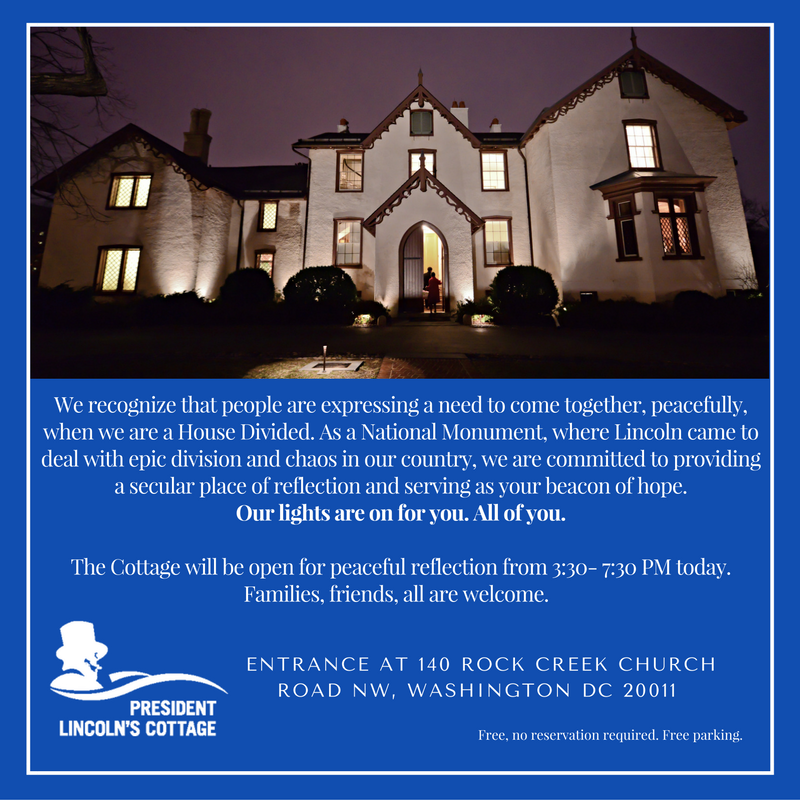 As a National Monument, where Lincoln came to deal with epic division and chaos in our country, we are committed to providing a secular place of reflection and serving as your beacon of hope. Our lights are on for you. All of you. 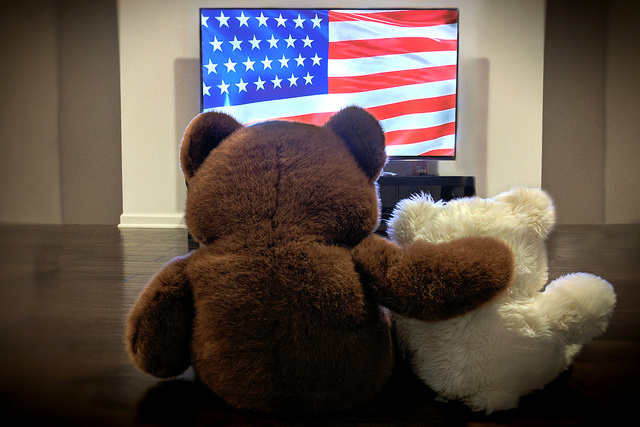 As an attempt to overcome the politics of hate and fear, let’s all get together and hug. If enough people show up, we’ll hold hands and sing, “This land is my land.” With some radical acceptance and love, maybe we can start understanding one another better and work together for a better world. I know a lot of us are feeling alone and distraught. This is a simple way for us to remind ourselves that we are still here and we are still capable of love and hope. When you arrive, turn on the flashlight on your phone on so we know you’re there with us. Can’t make it? 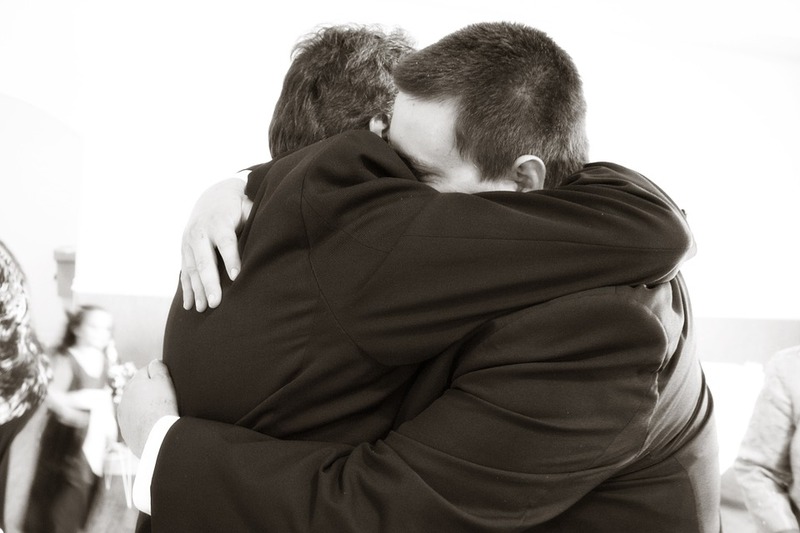 Take a photo of yourself hugging someone and tag it #hugyourneighbor. Invite your friends but please be mindful this is to be a SAFE SPACE. A brief gathering to muster a lot of love and compassion. No speeches, no agenda, just love your neighbor. Donald Trump was declared the winner. Fear. Dread. Numbness. Anger. Sadness. We are in mourning. Tonight, we welcome our family, friends and neighbors for a candlelight vigil in front of the White House. We need each other now more than ever. This morning we woke up fearing for the future of our country. There is a long path to healing and caring for each other. Donald Trump won this election and white votes by stoking racism and fear of people of color and immigrants. Donald Trump used an age-old lie that we blame each other for our economic insecurity, instead of the ruling class and political establishment. We protest and participate because we believe in each other, our collective power and the belief that we can create a community and economy for all of us. Let’s come together to stand as a community united against a future based on hatred, racism, sexism or bigotry. guestela Where is your in-laws' shop? Trying to Harness All This Energy in a Positive Way – Looking for Volunteer Opportunities?